Creating your own custom Math, Science, or STEM kit is easy! 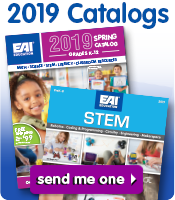 Whether you are adopting a new program, unifying classrooms, or are in need of a specific combination of manipulatives and resources, EAI® Education can help you develop a custom kit solution to complement your school’s curriculum and meet your budget. Our kits can provide you with an equal or larger amount of manipulatives versus program publisher kits, and can save you up to 40% on bulk orders!